Let’s be honest, there is nothing as fun as starting our your Sunday Funday with some brunch and a few beverages to really make the last day of your weekend something special. We love Sunday brunch here at Hearthstone, but we also know that sometimes in the fall and winter Sunday brunch gets overrun by NFL football games and all of the buckets of beer and light beer specials that come with it. Here at Hearthstone we believe that you can love Sundays and love football, but you don’t have to drink like you are at a parking lot tailgate. This is why we are proud to announce that we have a new Sunday special that is sure to make your Sunday. We have four words for you: Rose in a can. Yes, here at Hearthstone during every Sunday brunch we will be offering Rose All Day’s canned Rose during our brunch hours. You can even get your own version of buckets by enjoying four cans for just $25. That’s a lot of Rose, for not a lot of cash. 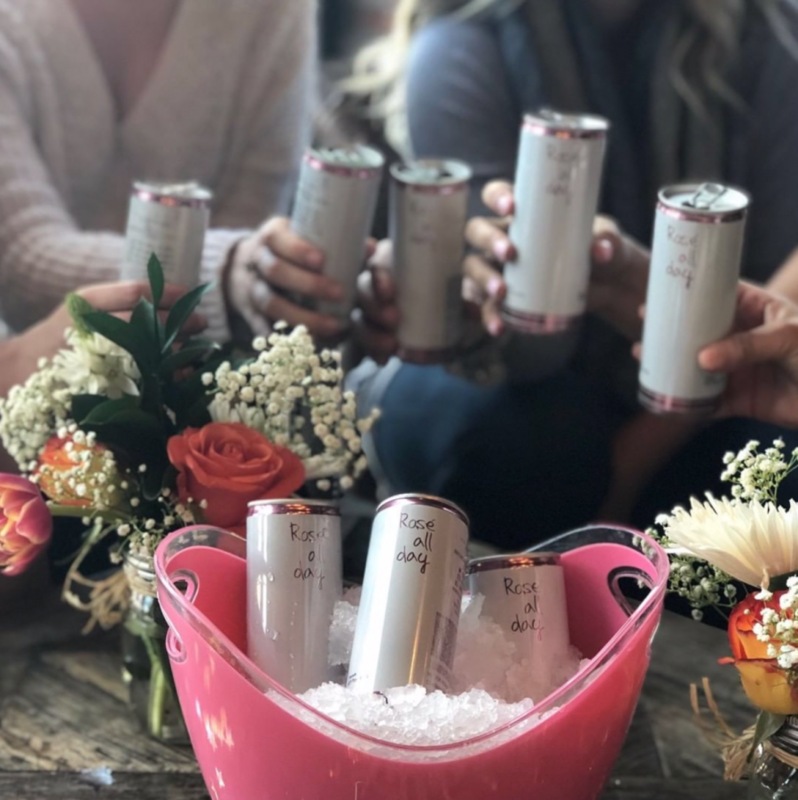 If you are ready to really enjoy Rose all day long, then give our Rose in a can a try. While we know you are going to love this drink special, remember that it is only available during brunch hours which means you are limited on when you can take advantage of this unique drink special. So, next Sunday instead of enduring the same light beer specials as the rest of the crowds, drink what you really want to drink. Drink Rose all day here at Hearthstone. Remember, our specials including our pack of four cans for just $25 are only available during our designated brunch hours! We will see you for your next Sunday Funday event.